In 1945 Father James Keller, M.M., established a non-denominational Christian organization called The Christophers to be a positive influence and pro-active force in the post-war world. The Christopher Films were intended to foster political honesty, business integrity, and compassion for the sick and the poor, and to be generally relevant to all faiths. 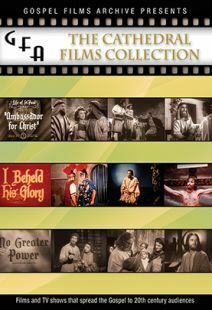 The Christophers Films Collection is part of the Gospel Films Archive, a multi-volume collection of rare and vintage Christian dramas and documentaries produced throughout the 20th century by independent Christian producers as well as major Hollywood studios. These vintage movies demonstrate how the Christian message was communicated to 20th century audiences through visual media. They also provide a heartwarming nostalgic experience that fans of classic movies will love. Though they are from a bygone era, these films often tackle subjects that remain surprisingly relevant for contemporary audiences. You Can Change the World — 1954 – Christopher Films / 32m — Shortly following WWII an all-star Hollywood cast, including Jack Benny, Rochester, Bing Crosby, Bob Hope, William Holden and Irene Dunn, gathers to hear Father James Keller discuss how Americans of all faiths and abilities have the power to individually change the world for the better. Government Is Your Business — 1952 – Christopher Films / 28m — Politics and religion take center stage in this film version of Father James Keller's best-selling book about an average man opposing political corruption in a small town. 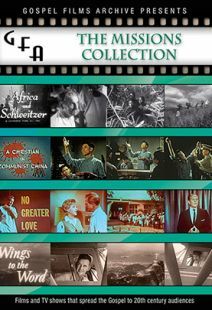 This entry in Gospel Films Archive's series compiling vintage short films with Christian themes features three titles produced in the 1950s by the non-denominational Christophers. Founded by priest and author Father James Keller, this postwar-era group was dedicated to encouraging people with good values and ideals to enter careers of influence (teaching, government, journalism, entertainment), creating a bulwark against any future tyrannical or corrupt political movements. Keller appears in all of the films, which feature some heavyweight Hollywood talent. 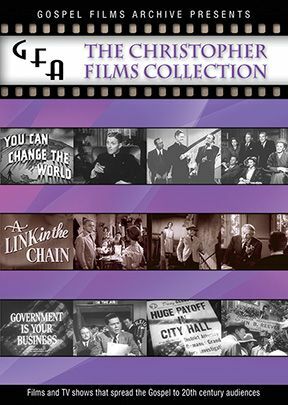 "You Can Change the World" (1951) stars Jack Benny, William Holden, Bing Crosby, Bob Hope, Paul Douglas, and Loretta Young, under the direction of the great Leo McCarey in a scenario in which Benny hosts a gathering where Keller talks about the Christophers' philosophy. Along the way there are a few laughs (Hope, in a cowboy outfit, has a surreal moment asking cows to be quiet), and Crosby croons. More impressive, in dramatic terms, is "A Link in the Chain" (1957), starring James Cagney as a retiring college professor who doubts he has made any difference in the lives of his students. Flashbacks reveal that he actually did quite a bit to instill a sense of responsibility in young people regarding the state of the world. Finally, "Government is Your Business" (1952) stars Arthur Franz as a crusading idealist who takes on his town's rough-and-tumble political machine in a quest to win a council seat. Not only must he stand up to bosses, he also has to go against the wishes of his frightened parents and fiancee. An interesting set of films made in a joint project between a religious group and Hollywood, this is recommended. Kirk Mccrea - Message or prophecy? Admittedly, I had never heard of this movement but when I saw these films I held my head in my hands and about fell off of my seat at the messages they deliver. After 60 years the messages of warning now sound like fulfilled prophecy. But the lineup of stars in "You Can Change the World" are in true hilarious form, and the stars in the remaining films are great and wonderful to see again.